The 2018 Dodge Charger is a unique full-size sedan! It offers many great powertrain options, a roomy and comfortable interior, a retro-inspired exterior making it perfect for both individuals and families! All new for 2018 is the GT trim which gets a 300 horsepower V6 engine and AWD, as well a many new standard features including Android Auto and Apple CarPlay smartphone integration, and a rearview camera! 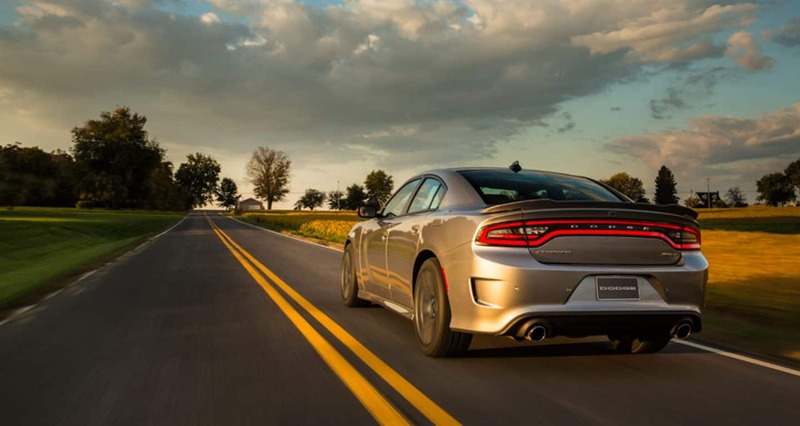 Continue reading our review to learn even more about the 2018 Dodge Charger! 30 MPG on the Highway! What type of trim levels does the Dodge Charger offer for 2018? The 2018 Charger is offered in five trim levels: the base SXT, the SXT Plus, the GT, the GT Plus, and the top of the line R/T! 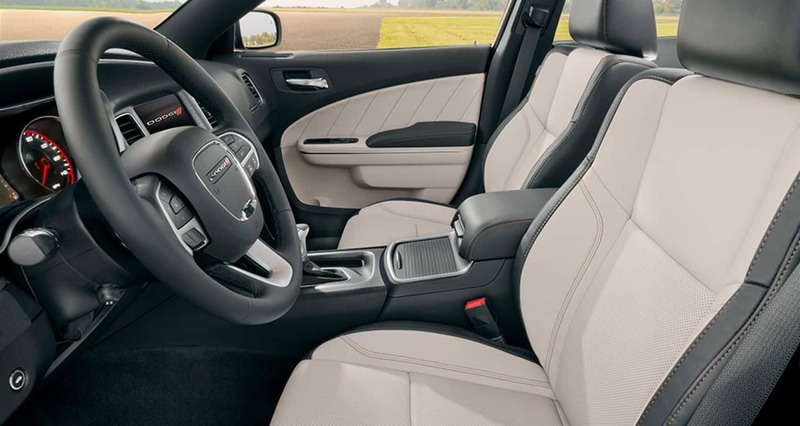 The SXT base trim comes equipped with 17-inch alloy wheels, a rearview camera, keyless entry and ignition, rear parking sensors, a 60/40 split rear seat, and a power adjustable driver seat. Standard tech features for the SXT trim level include a 7-inch touchscreen with Dodge's UConnect infotainment system, voice controls, Bluetooth phone connectivity, a six-speaker sound system, Android Auto and Apple CarPlay smartphone integration, and satellite radio! 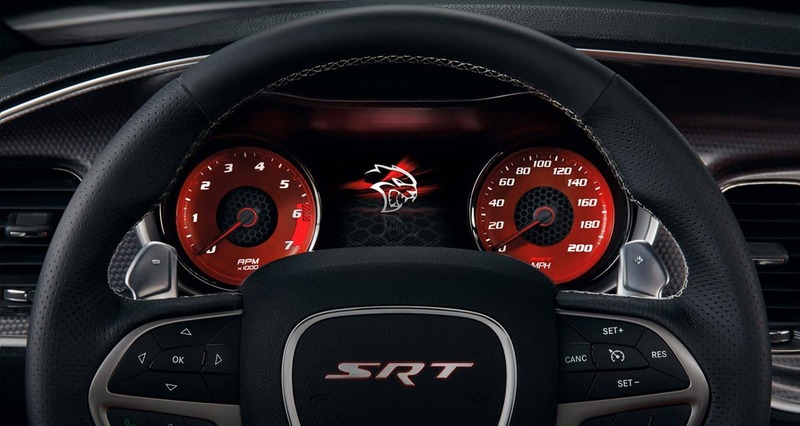 The R/T is similarly equipped to the SXT when it comes to comfort and convenience features, but it gets a sport-tuned suspension, upgraded brakes, transmission paddle shifters and 20-inch wheels! There Plus Group package is available for the R/T model which adds heated and ventilated sport seats, xenon headlights, heated rear seats, leather upholstery and more! The Premium and Technology Groups are also available for 2018! The optional Blacktop package adds a sport-tuned suspension, 20-inch wheels, a rear spoiler, and additional blacked-out styling elements! Does the 2018 Dodge Charger offer any powertrain options? 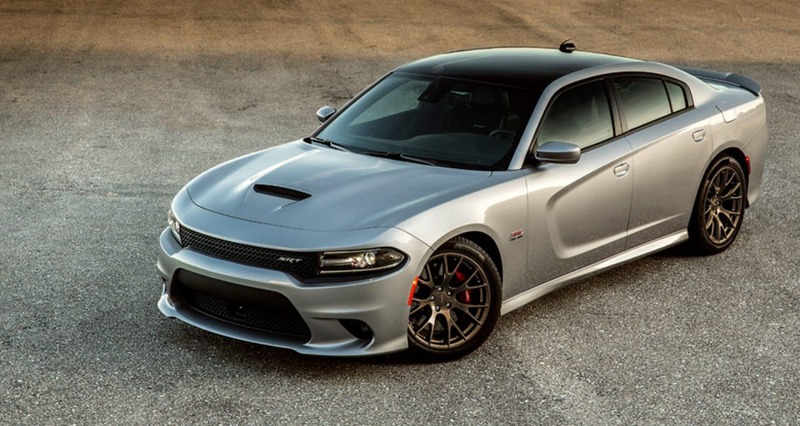 Dodge offers a few different powertrain options for the 2018 Charger! The base SXT model is powered by a 3.6-liter V6 engine that outputs 292 horsepower and 260 lb-ft of torque and can get up to 30 mpg on the highway! The SXT Plus, GT and GT Plus models have the same 3.6-liter V6 engine underneath their hoods. However, this variation produces 300 horsepower and 264 lb-ft of torque! With RWD this engine gets 30 mpg on the highway (27 mpg with AWD)! The R/T model gets a 5.7-liter V8 engine that generates 370 horsepower and 395 lb-ft of torque! AWD is standard on the R/T model, and the EPA estimates that it can get up to 25 mpg on the highway! All three of these engines are paired with an 8-speed automatic transmission! What type of safety and security equipment does a 2018 Charger offer? The 2018 Charger is loaded with great standard safety features! Including auto delay off headlights, daytime running lights, dusk sensing headlights, and front fog/driving lights! As well as dual front side-mounted airbags, front and rear head airbags, a post-collision safety system, and front and rear ventilated disc brakes! There is also a passenger airbag occupant sensing deactivation system installed for further safety! For security, you'll find an engine immobilizer to prevent theft! Plus the National Highway Traffic Safety Administration awarded the Charger 5/5 stars for overall, side and rollover crash safety! The only way to truly know if the 2018 Dodge Charger is the car for you is to come into Zeigler Chrysler Dodge Jeep Ram today to see it for yourself! You can try out all the amazing features and even take on out for a spin! Please fill out the contact form below if you have any questions!